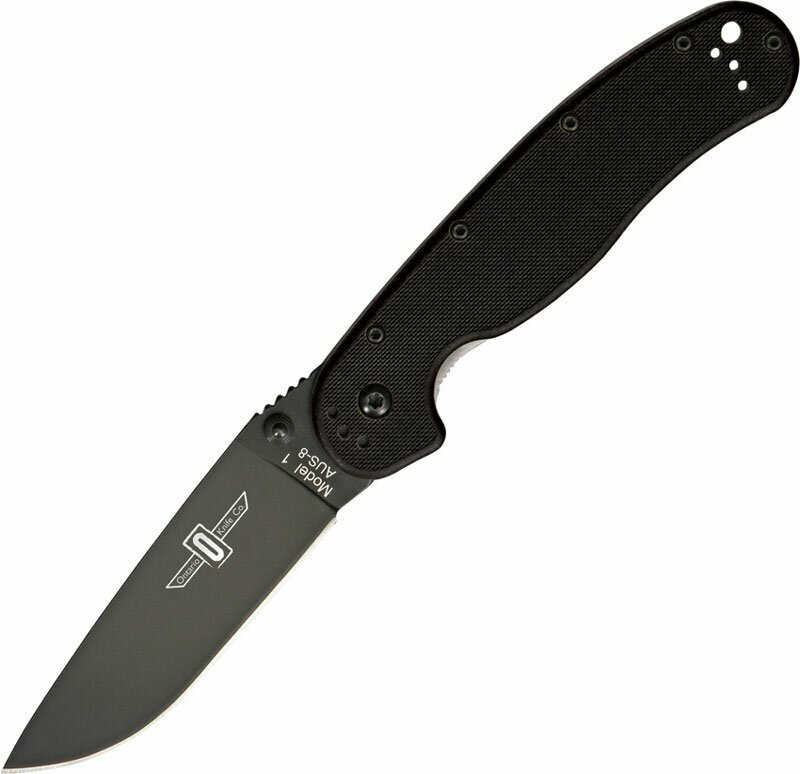 Ontario RAT-1 Black Folding Knife(ON8846BP) Knives, throwing knives, fantasy knives, movie knives, tactical knives, hunting knives, etc. Ontario RAT-1. Black finish standard edge blade. Black handles. 5" closed linerlock. AUS-8 stainless blade with dual thumb studs. Nylon handles with reversible stainless pocket clip.